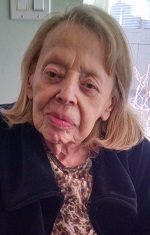 Florence Ballin, 101, of West Bloomfield, Michigan, died after sunset on 26 March 2019.
on Friday, 29 March 2019 at 11:00 AM . Rabbi Ariana Silverman and Cantor Penny Steyer officiated. Interment at Machpelah Cemetery.